ArTechLab is a cross discpline researchlab based at the Artez Enschede. We initiate cross discipline projects, in collaboration with other institutes, universities and companies. As we have a broad team of researchers, we’re able to make proposals and do research on complex artistic, social and design issues. 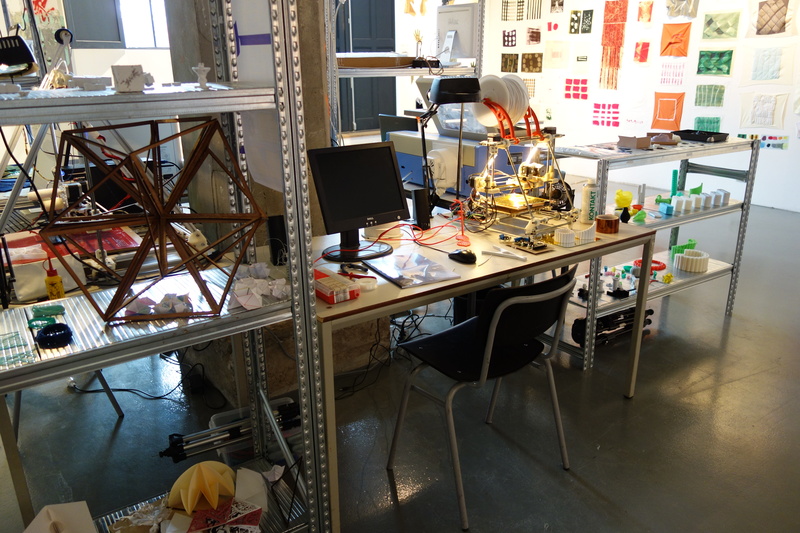 If you would like to become a partner or support the ArTechLab, please send us an e-mail. We have worked with a variety of partners ranging from a hands-on workshop to test out possibilities of new technologies or materials to longer research collaborations to tinker and test out new possibilities for materials, to create a proof-of-concept or to prototype a new device. Every year we start with a new team of student researchers. They have a variety of backgrounds. Most of them are studying at different departments of ArtEz, or at other institutions as Saxion or University of Twente. Our researchers are creative thinkers, are passionate about what they do and have fresh, innovative ideas. The researchers present their research ideas and results at https://artechlab.wordpress.com/category/researcher/. The researchers are coached by our team of advisors.